Can Wind Generate Electricity at $0.04 per Kilowatt-Hour? 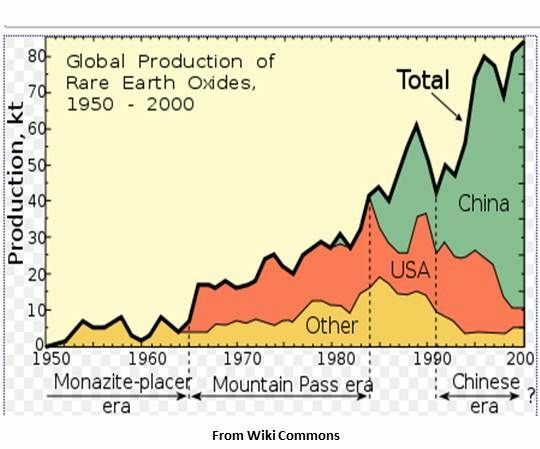 Is an environmentally friendly rare earth metal mined in California the key to making wind power cheaper than coal? In the poker game being played for the future of the wind turbine’s drivetrain, VC NEA just told VC CMEA Capital they would see the $15.1 million round B on permanent magnet generator (PMG) specialist Danotek and raise with a $35 million bet on PMG innovator Boulder Wind Power. As just reported by Greentech Media, PMG technology’s emerging inevitability as a replacement for the traditional gearbox in the turbine drivetrain was affirmed when CMEA Capital and three other heavyweight Danotek backers (GE Energy Financial Services, Khosla Ventures, and Statoil Hydro) re-upped funding to advance development of the company’s PMG converter system. 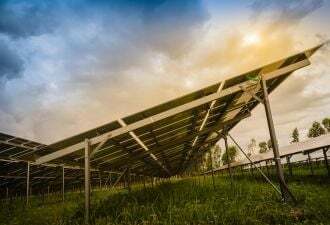 NEA, which had already invested $11 million in first round backing for Boulder Wind Power (BWP), joined with first-time investor and international rare earth metals powerhouse Molycorp in a second round of funding. This is a unique synchronicity because a PMG’s magnets require rare earth metals. 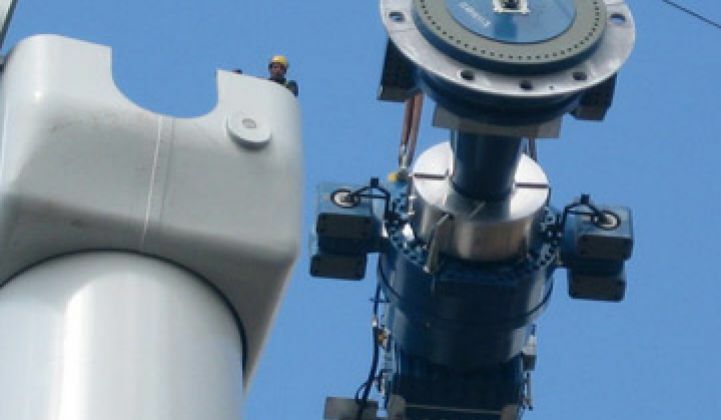 The Danotek high-speed PMG system’s attractiveness to investors is based on a uniquely efficient stator-rotor configuration, as well as its existing relationships with wind industry manufacturers and developers such as Clipper Windpower and DeWind. 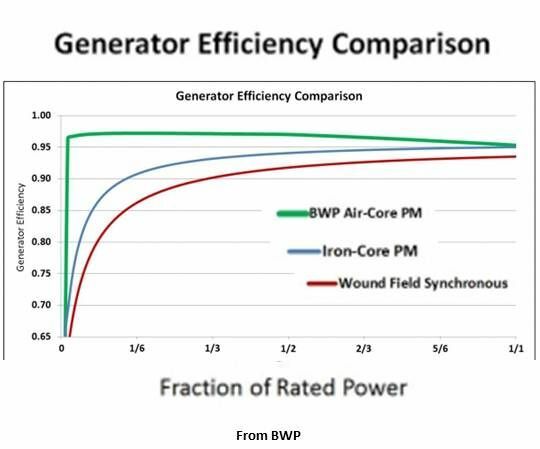 The BWP low-speed PMG system’s attractiveness is based on an innovative PMG concept that gets away from expensive rare earth metals and creates efficiencies that BWP says can make wind power competitive with traditional sources of electricity generation without the need for incentives. Based on the three key factors in the cost of wind -- the capital cost of the turbine; the production of energy; and the cost of operations and maintenance -- the BWP direct drive with its PMG can be expected, according to rigorous modeling, to keep the cost of wind generated electricity down in the four cents per kilowatt-hour range, according to Sandy Butterfield, the company’s CEO. 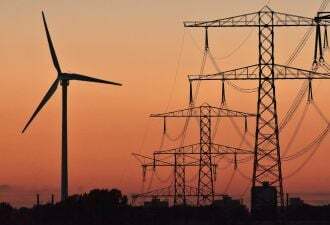 At that price, said Butterfield, formerly the Wind Technology Center Chief Engineer at the U.S. Department of Energy’s National Renewable Energy Laboratory (NREL), wind would be would be -- on an unsubsidized basis -- a more cost-effective source of electricity than coal. Turbine gearboxes, no matter how precisely designed and assembled, wear out long before the turbine’s 20-year life span is over, requiring a very costly replacement process involving replacement of the complicated lubrication system, as well. “A direct drive system eliminates all of those opportunities for early failure,” said Butterfield, who, as head of the Gearbox Reliability Collaborative during his time at NREL, is one of the foremost U.S. authorities on the subject. One of the most distinguishing characteristics of the BWP PMG design is that its magnets are part of an axial flux air core machine which operates at relatively low temperatures and are made with a rare earth metal called neodymium. More commonly, PMG magnets are part of iron core radial flux machines, operate at relatively high temperatures and require a rare earth metal called dysprosium. In very round numbers, Butterfield said, dysprosium sells -- in today’s very constrained market dominated by China’s hoarding of its unique rare earth metal supply -- for around $1,000 to $2,000 per kilo; neodymium sells for about $100 per kilo and is relatively more common. More significantly, BWP has secured a portion of its newest funding from first-time investor Molycorp, the only rare earth oxide producer in the Western hemisphere and the largest outside of China. Molycorp will take a place on Boulder Wind Power’s board and be the "preferred provider" of neodymium from its flagship rare earth mine and processing facility, currently ramping up to full production, at Mountain Pass, California. The $35 million “will get us to commercialization,” Butterfield said. 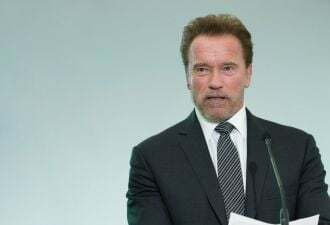 Next, he wants “to secure commercial partners.” He is currently in talks “and very far along” with multiple turbine manufacturers, for whom he will design the direct drive PMG system to their turbines’ specifications. He expects to have operational prototypes within 18 months.